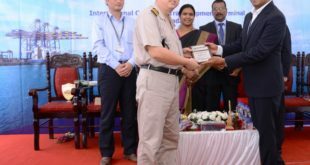 Bharat Mumbai Container Terminals Private Limited (BMCT) continued to improve connectivity and ease of doing business for Jawaharlal Nehru Port Trust (JNPT) users with its first barge and train volumes last week. A 90-TEU (twenty-foot equivalent unit) block train departed for Mandideep on 13 March 2018, while a second train left for Nagpur on 16 March. Both trains were operated by Container Corporation of India (Concor). On 18 March, there were both barge and rail movements as Shahi Shipping’s “Royal Hugli” barge loaded 75 TEUs at BMCT for the short marine transit to Mumbai Port Trust; while an export train operated by Concor arrived from Boisar, carrying containers for other terminals in JNPT. 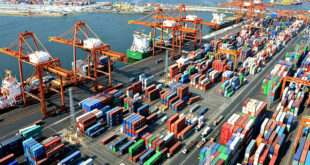 Containers for other JNPT terminals arriving by rail at BMCT will be trucked less than 4 km via JNPT’s South Gate, to connect with export vessels berthed at those terminals. 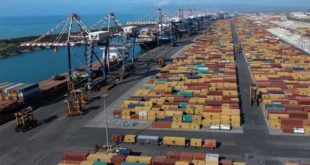 It may be noted that BMCT is one of only two terminals in JNPT able to offer customers direct barge connections. BMCT’s rail yard is equipped with four twinlift-capable Rail Mounted Gantry (RMG) cranes serving three lines. It will be the only terminal in JNPT capable of handling 1.5 km-long, 360-TEU Dedicated Freight Corridor (DFC) trains when the DFC is completed. 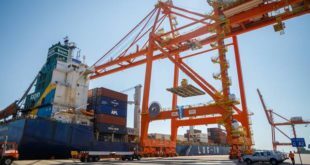 The rail capacity at BMCT’s railyard will be doubled by the end of 2022 with the completion of BMCT’s Phase 2, adding four more RMGs and three more lines to become the largest railyard in a container terminal in India. Commenting on the development, Mr Suresh Amirapu, CEO, BMCT, said, “BMCT is enhancing options for port users. Our state-of-the-art equipment will provide train operators a faster turnaround: we target 35 percent of BMCT volumes by rail once the DFC is complete. Similarly, unrivalled space and flexibility means BMCT is well equipped to seamlessly handle barge volumes and provide that option to cargo owners.